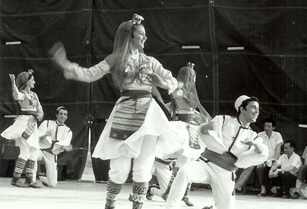 There are Albanian folk dances for every occasion. They express emotions ranging from pride and honor, loyalty and bravery to rosier ones dedicated to love and play, danced in weddings and other festivities. 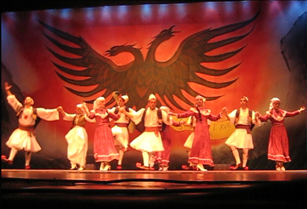 Albania has a rich folklore and every region has one characteristic dance and several other dances. 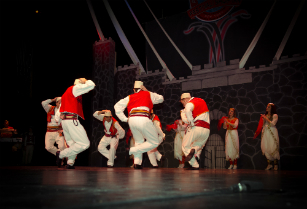 Some of our most successful dances performed in festivals and concerts are: Mourning for Cameria, Men's Laberia, Girl's Tropoja, Tirana, Kosova and Arberesh. 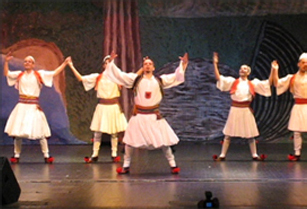 Among the many dances that the group performs, there is one in particular that holds a special place. 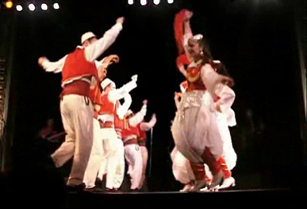 The dance is called "Mother Albania- Yours are Kosova and Chameria". 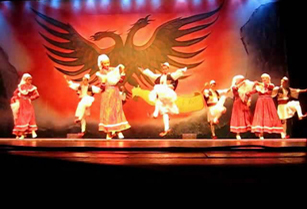 The dance feeds on the longing of Albanians from regions neighboring the North and South of the Albanian border, to be reunited to the motherland. 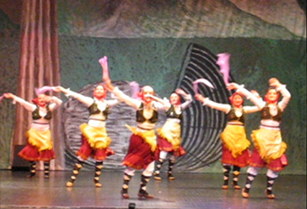 The dancers represent the South and the North through their costumes. They dance and celebrate because they are all brothers and sisters from the same mother, Albania. We invite you to click on each of the following thumbnails to watch some of our performances.